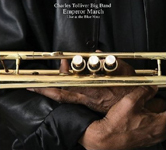 CD1: Drought (A); Felicite (A); Orientale (A); Spanning (A); Wilpan's (A); Our Second Father (Dedicated to the memory of John Coltrane) (A CD2: Drought (B); Stretch (B); Truth (B); Effi (B); 'Round Midnight (B CD3: On The Nile (A); Ruthie;s Heart (Dedicated to my mother) (A); Repetition (A); Impact (B); Our Second Father (Dedicated to the memory of John Coltrane) (B); Earl's World (Dedicated to my brother) (B). 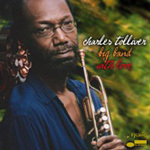 Charles Tolliver: trumpet; Stanley Cowell: piano. With (A) Cecil McBee: bass; Jimmy Hopps: drums. (B) Clint Houston: bass; Clifford Barbaro: drums.